Why get your hair cut and colored if you don’t pamper it in between trips to the stylist? From the best shampoos for color treated hair to the flat iron we can’t live without, here are hundreds of our favorite hair products. 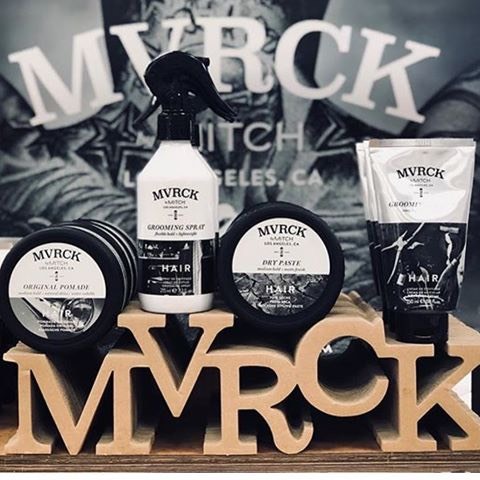 Developed in Los Angeles by barbers MVRCK is a complete line of trusted barbering products rooted in functionality at authenticity. These products are infused with natural ingredients such as Citrus, Agave, Cedar & Sandalwood to provide an intoxicating, energizing and masculine scent. Shave: upgrade the shave experience with products designed to hydrate and refresh the skin while ensuring a smooth shave. All shave products contain barley seed extract to help reduce the appearance of razor bumps. This is a proven system that works from the inside out to smooth the cuticle, reduce frizz, add intense shine, and protect against thermal damage. The exclusive KaraReflect blend with natural Abyssinian oil smooths and softens every strand of hair to restore moisture with an ultra-light finish. This product line is ideal for coarse unruly hair. Experience the transformative power of wild-harvested, cold-pressed Marula Oil that is packed with powerful antioxidants and replenishing oleic acids for instant hydration, taming, and softness. Time release MarulaSpheres adhere to the hair shaft and break open every time you brush or touch your hair releasing fresh bursts of moisture throughout the day. This multitasking oil treatment pampers the hair and skin with rich moisture. Shampoo, Conditioner, Intensive Hair Masque, Rare Oil Treatment, Rare Oil Treatment Light, Rare Oil Style Extending Primer, Perfecting Hairspray, 3 in 1 Styling Cream. This lightweight, ultra-sheer version of Marula Oil is ideal for fine hair. Beetroot-derived amino acids help fortify, strengthen, and add volume while the featherlight blend of cold pressed Marula Oil helps to seal split ends and protect from damage. This calming quencher soothes and replenishes dry unruly hair. Moisture-rich conditioners and amino acids improve strength, shine and manageability while calming lavender mint and tea three soothe the spirit. The dreamy scent puts hair and mind at ease. 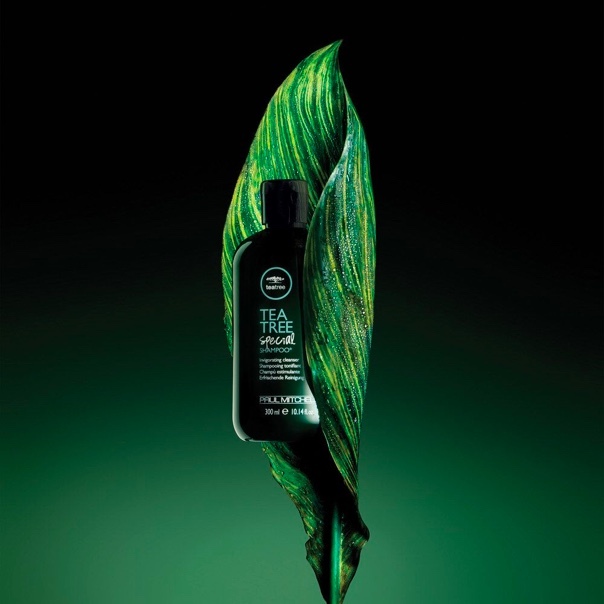 Invigorate and renew the senses with a blend of natural tea tree oil and peppermint. Tea tree oil rids the hair of impurities and leaves it full of vitality and luster while peppermint invigorates and tingles the scalp to awaken weary hair and spirits. Soy proteins, vitamin E, and shea butter repair and protect the hair while willow bark helps to soothe troubled skin. This zesty formula pumps up fine strands, so hair looks and feels clean, thick and healthy. Thickening agents boost volume, while panthenol strengthens every strand and protect against split ends. Uplifting lemon, sage, peppermint, and tea tree oil refresh the mind and leaves hair feeling squeaky clean with added humidity resistance and UV protection. 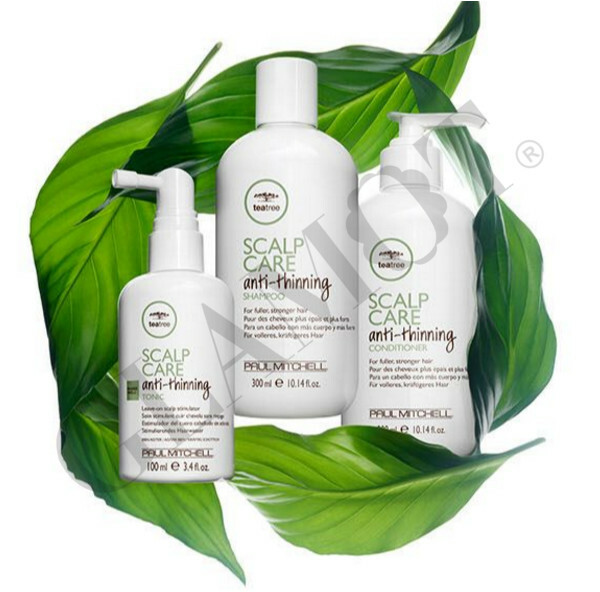 Tea Tree Scalp Care is a preventative system that gently and naturally helps slow down the process of hair thinning, due to breakage. Ideal for men and women, this color-safe daily regimen is infused with our exclusive Regeniplex botanical blend of five active ingredients including Kakadu plum, pea peptides, clover flower, turmeric and ginseng designed to promote optimal scalp health and encourage healthy, thicker hair. A complete line of haircare and styling products that are all about embracing the beauty of imperfection. The lightweight formula infused with velvet flower softens strands for added manageability and undone natural styling. Powered by exclusive KerActive protein, macadamia nut oil, and safflower extracts penetrate the hair shaft to help rebuild and provide long-lasting hydration and moisture retention. This product line helps keep blonde hair light, bright, and healthy. This complex product harnesses the high protein content of quinoa to lock in hair color and repair strands for within. Sugar cane and lemon peel extracts add glossy shine and manageability, while powerful antioxidants help prevent damage. This is ideal for daily use to hydrate and detangle color treated hair. Shea butter, jojoba and soybean oil leave hair soft shine and healthy, while vitamins nourish, moisturize and prevent thermal damage. Style isn’t born, it’s groomed. The Original Paul Mitchell line designed specifically for men. Concentrated, high performance and modern products allow men to indulge and shape their style with various fresh manly scents to enhance freshness. For every look, there is always a styling product to shape it. Double Hitter 2 in 1 Shampoo and Conditioner, Heavy Hitter Deep Cleansing Shampoo, Hartwired, Steady Grip, Construction Paste, Matterial, reformer, Clean Cut, Barbers Classic.